If you haven’t had a chance to check out TechShop Pittsburgh yet – you are in luck! On August 28, they are closing down the shop for a party of epic proportions. This is a great party and a great deal – a day pass to TechShop is $50. 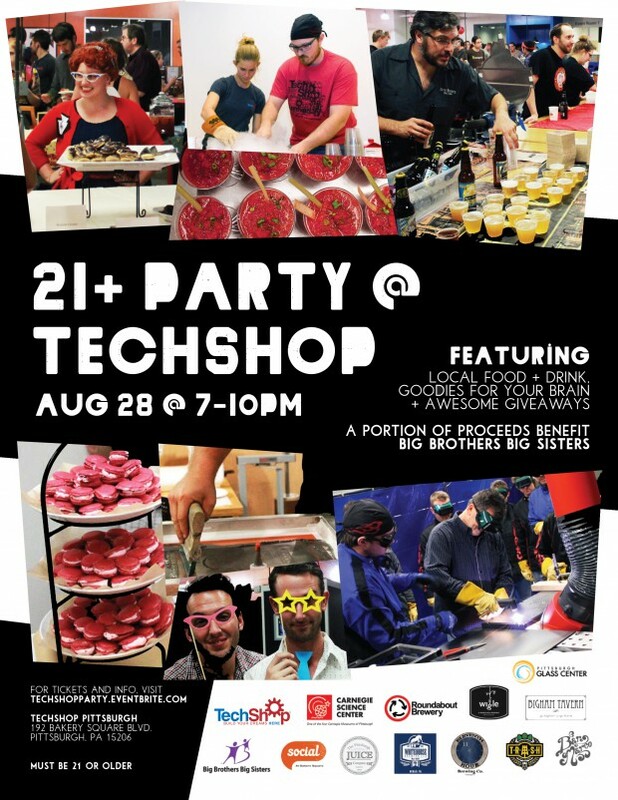 Tickets for Party@TechShop are $15, use the code TSlovesIheartPGH to save $5 off the ticket price. So for $10 you get access to the shop and whole lot of food and drink from some of the best local spots in town. Party@TechShop is a chance to check out the space, learn more about TechShop and to make some cool stuff. In addition to TechShop activities, The Pittsburgh Glass Center and the Carnegie Science Center will be running some demos as well.